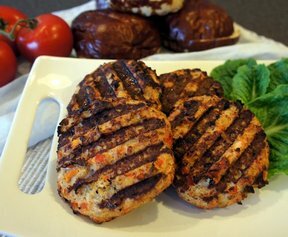 Mix ingredients well and form into patties. Fry on the stove top or grill. Top the patties with cole slaw and serve on buns. Make your own coleslaw or use a ready made...just add a little horseradish to it so it's tangy.